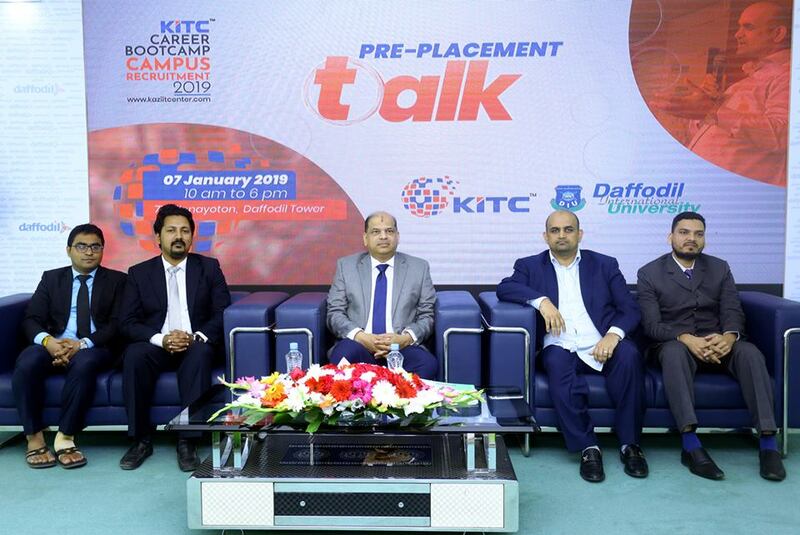 Career Development Center (CDC) of Daffodil International University (DIU) has organized a ‘Pre-Placement Seminar’ with Kazi IT Center Limited (KITC), a largest IT farm in Bangladesh today on 7 January 2019 at 71 Milonayoton of DIU. 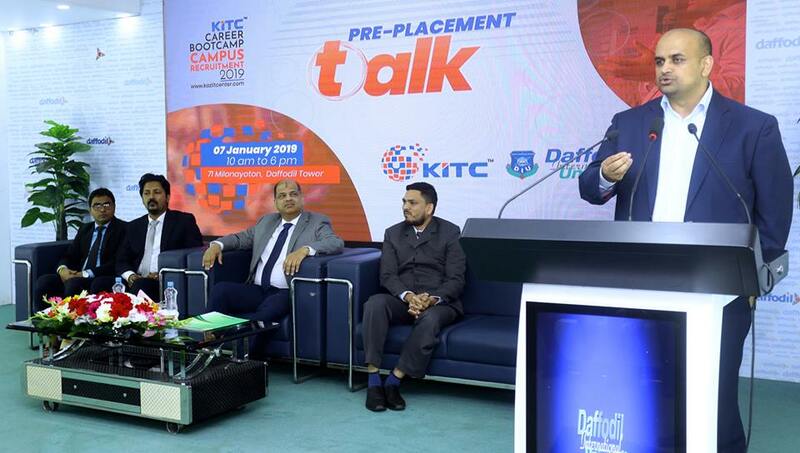 Mr. Mike Kazi, CEO of KITC was present at the seminar as the chief guest. 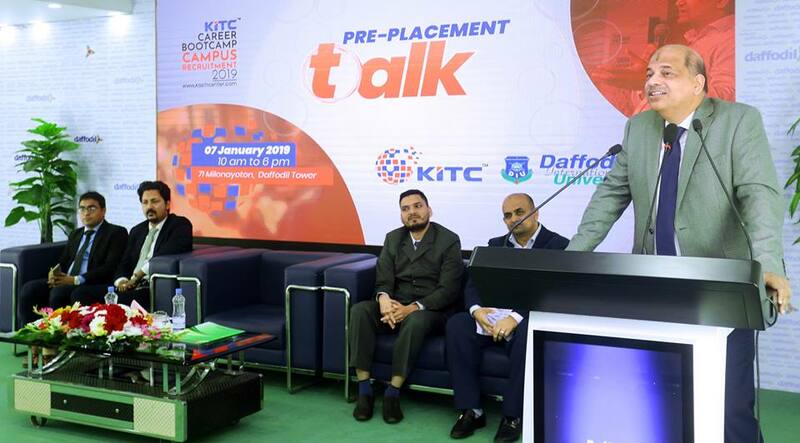 Presided over by Professor Dr. Yousuf Mahbubul Islam, Vice Chancellor of DIU, distinguished high officials from both organizations were present at the program. Aiming to spot recruitment, Kazi IT Limited offers this seminar especially for the students of DIU. About 300 students from different Department of DIU took part in the seminar. 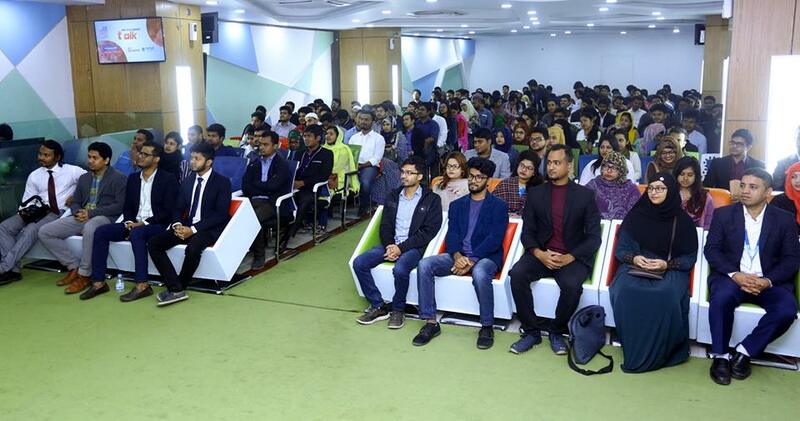 These students will take part in a written test on 12 January, 2019 where successful candidates will be called for interview soon. 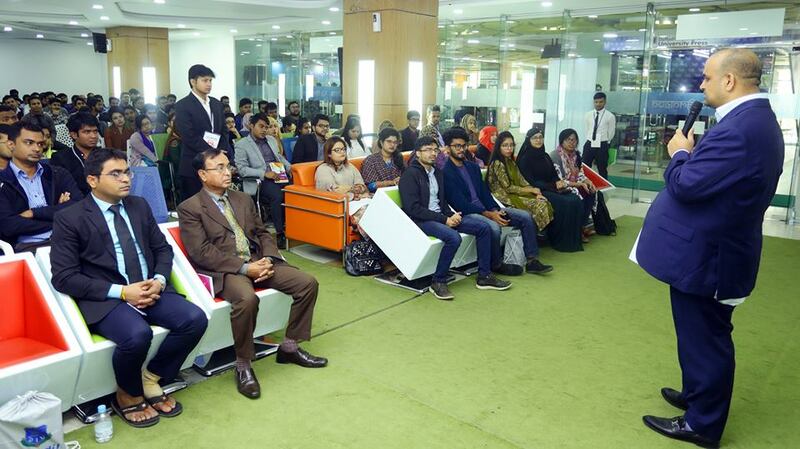 07 ICT graduates of different universities from Bangladesh are going to start their IT Career in Japan by Skill Jobs.